LEXINGTON, Ky. (Nov. 29, 2018) — Cold weather doesn't have to put a dent in your cycling plans. Learn best practices and strategies to keep rolling all season long during our free Winter Cycling Clinic scheduled for 4:30 p.m. Wednesday, Dec. 5, at Wildcat Wheels Bicycle Library. Cycling experts will be on hand to share information about how to ride safely during inclement weather and to share information about what winter gear you’ll need to keep safe and comfortable throughout the cold weather season. Bicycle maintenance is also critical during the winter, as snow and ice can present special challenges for riders. 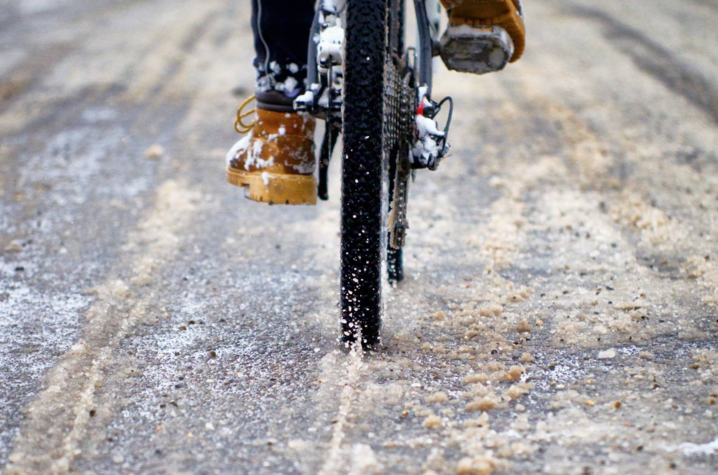 Learn what you need to do to keep your bike in tiptop shape during the winter. Do you have questions about riding during cold weather or tips to share with others? This one-hour clinic will be interactive, so come prepared for give and take. Wildcat Wheels Bicycle Library is located on the first floor of the Blazer Dining building. To learn more about UK’s bike programs, visit their website.